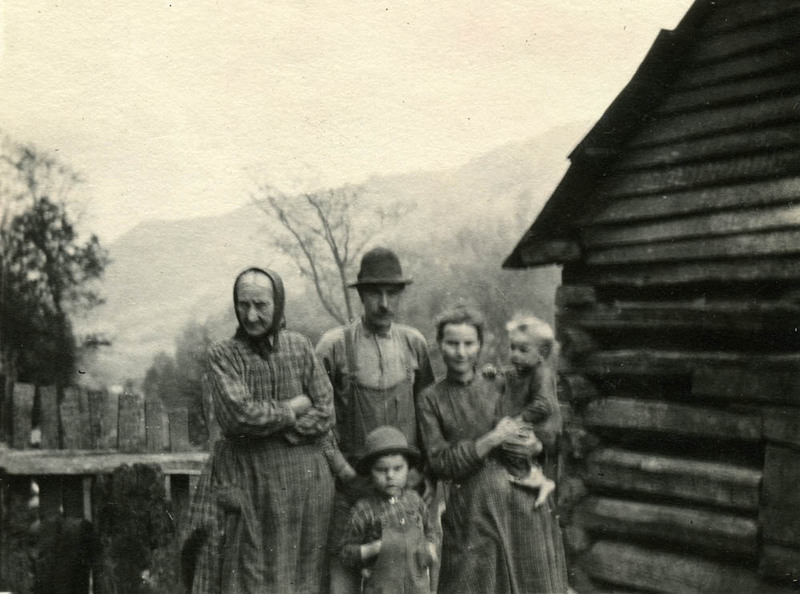 WELLS RECORD 11 PMSS HEALTH 1913-1928 is a record of health-related activity from 1913 until 1928 at Pine Mountain Settlement School and at the satellite settlements of Big Laurel and Line Fork. This narrative was written by Evelyn K. Wells, PMSS Secretary 1916–1931 and Interim Director 1931. One of the members of the first school family was Miss Clara Davis, a nurse, and from the very beginning emphasis was laid upon constructive health work of all kinds. Miss Davis’ work was of course mostly in the community, visiting district schools and homes, and she laid a foundation of friendly relations with the neighborhood because of her ministrations along lines that everybody could understand. She began the long campaign against such problems as hookworm and trachoma and flies., she began agitating for sanitary closets and quarantine against infectious diseases, to say nothing of preaching against the physical in-roads of alcohol and cigarettes. During the summers of 1914 and 1915 Dr. Blanche Epler of Kalamazoo, Michigan, spent some weeks at the school as a volunteer worker, helping work out the initial problems of sanitation in the school and the care of the children’s health. er vigorous personality did much to make definite the health principles of the school from the start. At this time the Kentucky Sanitary Closet was adopted as being the most practical for our needs. Later experience has not wholly borne out the wisdom of this choice.In the fall of 1915, Far House I being ready to live in, Miss de Long took her children and left the Old Log House, which from then on till 1920, when the Infirmary was finished, served as all the hospital accommodation the School possessed. the northern room was used as the Office till the summer of 1918, when the first Burkham Schoolhouse was ready. the nurse or doctor used the southern room, which was also the sitting room for the family; the dog-trot and loft were its sleeping quarters. The medical staff therefore had to take care of its patients in their own beds, but dressings and examinations went on at Old Log. In the winter there were all sorts of difficulties, extreme cold, darkness and dampness being the worst to combat Whenever activities could be transferred to the porch, the nurse felt a tremendous relief. Miss Christie, the nurse in the fall of 1915, was presented with the problem of dealing with the small-pox epidemic which broke out in the neighborhood. She took care of Aunt Sal and Columbus Creech, who were housed most of the bad weather of the winter. The School had to shift for itself, since the nurse was quarantined with the Creeches, and Miss [Evelyn K. Wells] Wells and others vaccinated about forty children and workmen. Vaccination was a new thing in those days, and the bad “takes” were accepted sometimes with the bad grace of limited understanding. As for instance, when Oscar Whited, a young man of twenty-two or so, one of our students, couldn’t bear his sore arm, left his job of breaking flax and went home. The young worker who had vaccinated him wondered anxiously how he would take his revenge! 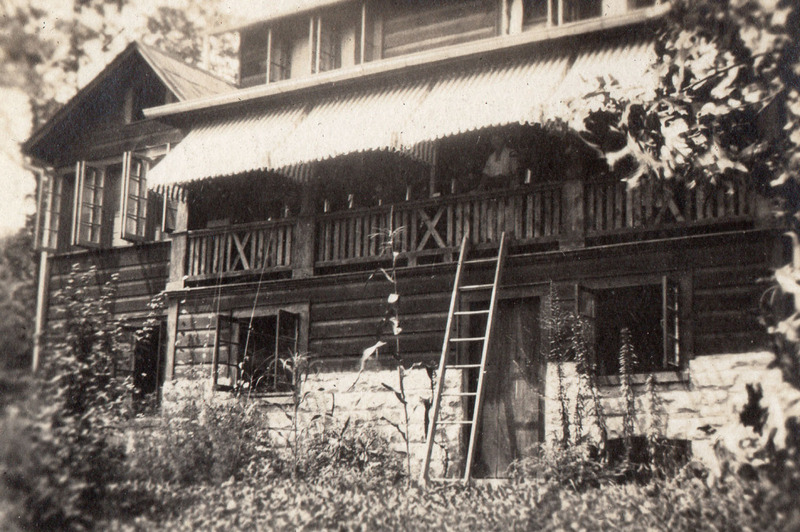 From the spring of 1916 to 1918, when she left for work overseas, Dr. Abby N. Little worked under the picturesque difficulties of life at the Old Log House, and in the neighborhood. During her stay the school family grew from thirty-five to seventy. Then followed a succession of nurses, Miss Euphemia Larrabee of Boston, Miss Margaret Walker, a Canadian, Mrs. Helen Briscoe, here for a few weeks, Miss Frances Lavender, who was here 1918-1919. At the close of Miss Walker’s stay Uncle William Creech was in his last illness and she took entire care of him, escorting him to Louisville and staying there till the end of his life. To Miss Lavender fell the task of caring for the injured children, and the shaken School, after the Schoolhouse [Burkham Memorial School House] burned in January 1919. 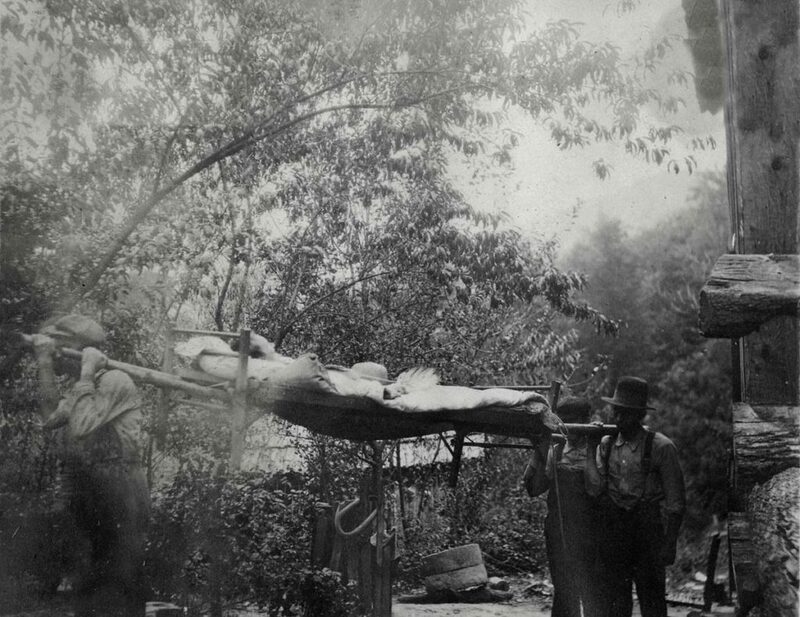 The fire destroyed much of our medical equipment, as a small clinic room had been maintained in the Schoolhouse; and afterwards the nurse was forced to return to the hospital Old Log House until the Infirmary was ready in 1920. 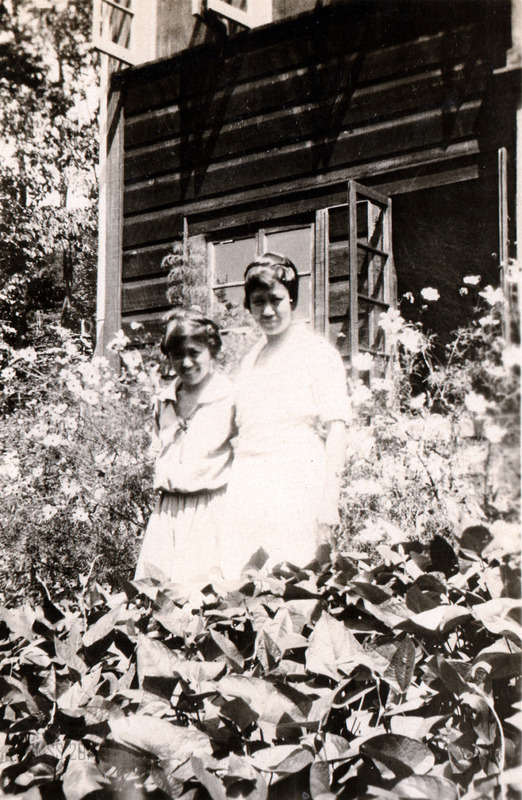 Miss Esther Sandstrom and Miss Charlotte Roderick were the last two nurses to work under the old conditions.From 1920 on, the constructive health program moved steadily, with clinics, the building up of underweight children, hookworm treatments steadily administered, epidemics checked with increasing ease. The notes of workers’ meetings at this time are filled with health discussions, regulations going into effect, the standardizing of the care of the children in a hundred ways affecting their health. Such obvious rules as that the children must be examined by the nurse before admission to the School; that nobody but the nurse must prescribe for ailing children; that the nurse had regular hours daily for visits from the children, all came to effective enforcement, after year of irregularity and struggle, at this period. The Infirmary made much possible, that had had to wait till we had such a building. that sunny, comfortable, adequate house made the greatest difference in the life of the school. Miss Maya Sudo, the Japanese nurse who was here from 1921 to 1924, gave it many of its lasting beautiful touches in the garden and grounds, as well as starting it off with its exquisite routine inside. Miss Eva Heney, who came in 1924 and was here until the winter of 1927, is responsible for its further steady growth. These two long periods of continuous administration of one policy have been fortunate for us. during 1927 and 1928 Miss Betty Key and Miss Marian Purbrick have seen us through many crises.In the winter of 1928 the East ward of the Infirmary was enlarged, and the bathroom, reception room and treatment room added. the first indoor toilet was in this bathroom. The Infirmary was built with memorial gifts from Mrs. A.F. Schauffler, Mrs. L.C. Fenno, Mr. J.G. Seaman, Mr. W.G. Sewall, Mrs. David Tyler. Dr. Grant came again in 1923, and in 1924, Dr. Day sent down from Pittsburgh Drs. McMonigle and Black. Dentists from Pittsburgh came again in 1925. Mr. Jaggers of Louisville came for two years for eye refractions. And one cannot name the doctors in Louisville who have given free treatment to our children, or the friends there who have looked out for them. 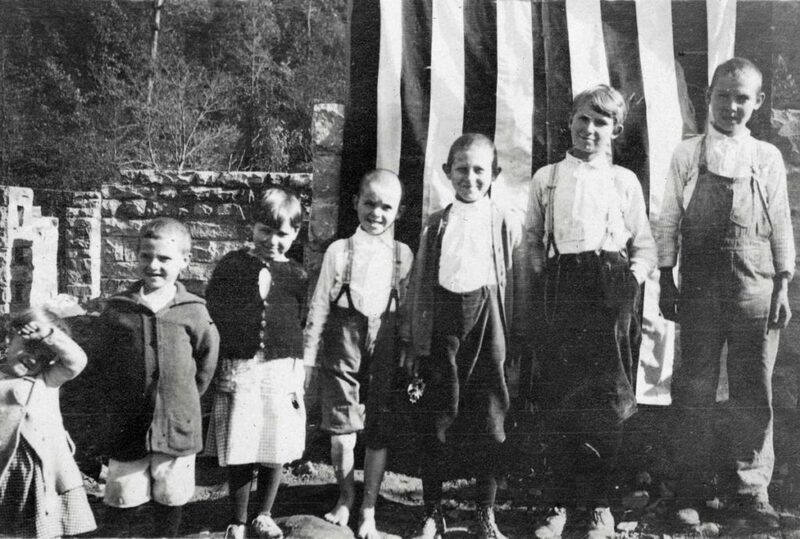 Quarantine of the school in the fall of 1918 prevented a single case of Spanish Influenza from breaking out, though the neighbors, showing a low immunity, were ravaged. This was a most effective lesson to everybody on the value of quarantine. We have not always been as fortunate in keeping out contagious diseases and measles (1920, with boys House needed to take care of the 40 cases), mumps (worst in 1926, when they overflowed to the Country cottage) and whooping cough (1924) have been our worst epidemics. there have been two deaths from sickness, among the children of the school. In 1923 Harry Callahan died of spinal meningitis resulting from severe injuries to the head when was thrown from a moving train, and in 1924 James Gilbert died, also of spinal meningitis. 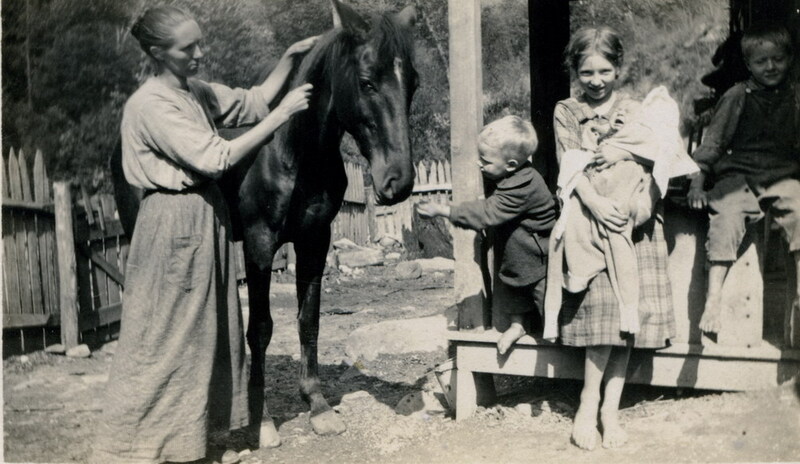 There has been a steady decrease in colds and minor epidemics as underweight children have been built up by extra milk, rest and other special care, which has reacted upon the physical vigor of the school.The nearest approach to a major operation at Pine Mountain was in 1928, when Dr. Todd came from Lynch and removed liquid from Miss Sarah Gallagher’s lungs, thereby saving her life in pneumonia. Miss Marian Purbrick and Alice Turner will not soon forget that midnight affair. (In the very real emergencies when we have sent for Dr. Todd, he has never once failed to come to us, crossing the mountain usually after dark, often on foot, and in all weathers. )The health work of our extension centers is discussed in the section dealing with them. It should be said, however, that the Medical Settlement physician, Dr. Grace Huse from 1920 to 1924, and since then Dr. Alfreda Withington, has been in charge of the health policies of the School, the cases of actual sickness, and general direction of the nurse’s work. The doctor has also given the first physical examinations to children entering school.